The Huawei Nova was first presented at IFA 2016, and the mid-ranger with the premium look was so well-received that it's time for an encore. The Huawei Nova 2 is expected to be released on May 26 at a special event. The latest news comes straight from China, with an image showing the smartphone in two attractive colors and revealing some specs. For several weeks, there has been chatter about the alleged Huawei Nova 2, and according to a leaked teaser on from a Chinese website, it will be presented officially on May 26. The slogan for its debut appears to be "This is one small step forward for a self-shooter, and a big leap forward for the value of the device." What does all this mean? Like its predecessor, the Nova 2 also probably will focus on the camera. According to what leaked from the TENAA certification, it will offer a dual rear camera (12 + 8 MP) and a front shooter with 20 MP. Selfie lovers rejoice! As for the event date, we aren't 100 percent convinced that it will happen on May 26 because Huawei has already set an event in Berlin for May 23. Its debut is just around the corner, and leading up to the launch, the Huawei Nova 2 is already popping up on the Chinese social network Weibo with new photos and specs. From the latest leaked images, it is possible to see that the Nova 2 seems to offer a slimmer body than the previous generation, and less square lines. The Nova 2 looks like a cross between the Honor 8 and Huawei P10 - with both the fingerprint scanner and a dual camera on the back. 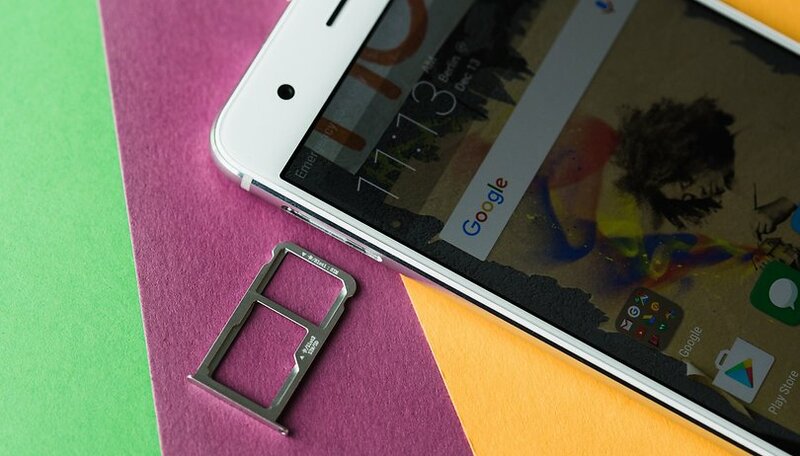 The physical buttons, power and volume control, find their home along the right side while the Huawei logo is printed on the bottom of both the front and back. The Huawei Nova 2 could come in 4 different colors: blue, pink, black and green - the same "greenery" shade introduced with the Huawei P10 Plus during MWC in Barcelona. The smartphone has been certified by TENAA, which means that everything is ready for the release of the device. To power the Nova 2 will be the Kirin 658 processor supported by 4 GB of RAM. The display should be 5.2 inches, while the battery should have a 3,000 mAh capacity (compared to the 3,020 mAh of the previous generation). As you can see from the image above, the Huawei Nova 2 seems to focus on its dual camera and the more rounded lines reminiscent of the P10 rather, than those of the first Huawei Nova generation. Again, the front camera, according to the latest rumors and the TENAA certification, will have an impressive 20 MP, while the rear dual shooter should have 12 and 8 MP. The antennas are camouflaged with the rest of the metal unibody, just like the P10 and P10 Plus. On the back, the fingerprint reader is placed comfortably. On the front, we find the Huawei logo on the bottom, and it is reminiscent of the Huawei Nova. For the moment, we do not know any other technical specs about this mid-range Huawei smartphone. Last year, the Nova and its Plus variant had surprised us with their prices, about $450 and $475 respectively, but a few weeks after they hit the market, the price dropped significantly - making them a great value for their premium design. What do you think of the Huawei Nova 2, and the premium midrange smartphone category in general?